Cover Front: Dark blue border with red ribbon and leaves. 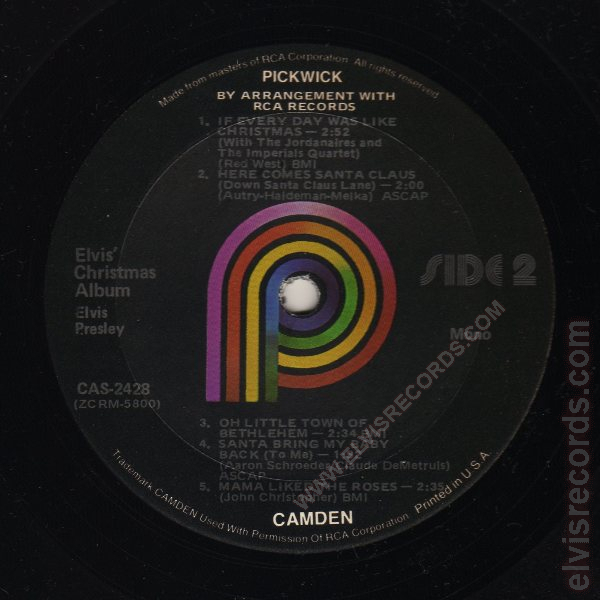 Pickwick upper left corner. 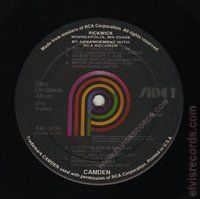 Camden and catalog number upper right corner. 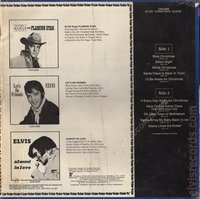 Cover Back: From left to right. 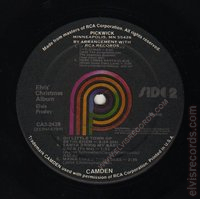 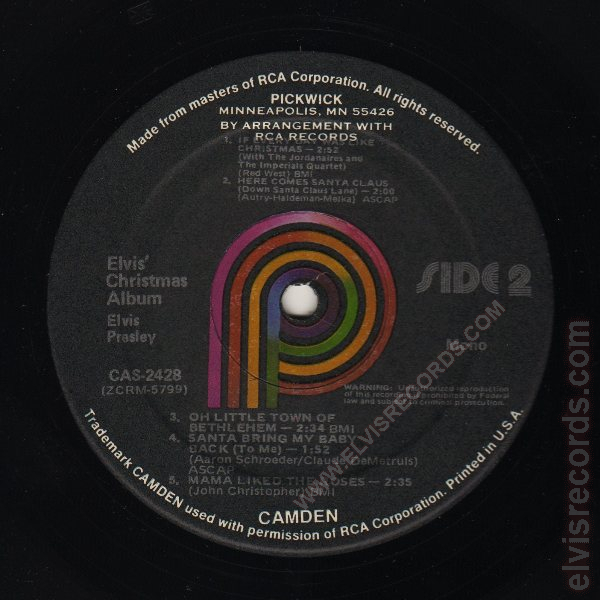 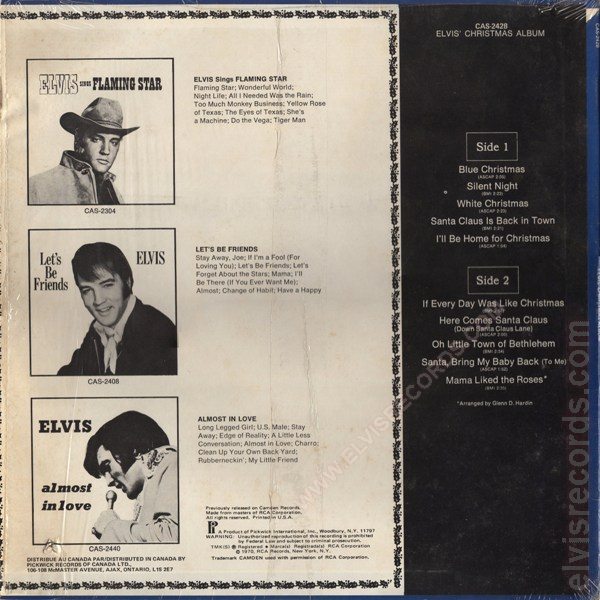 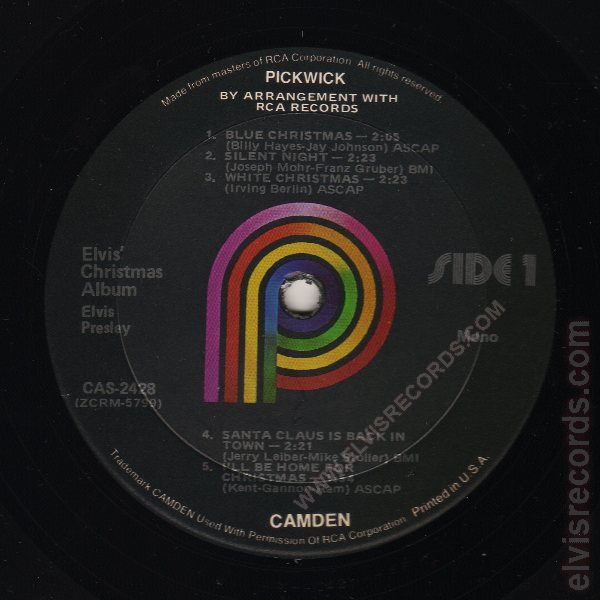 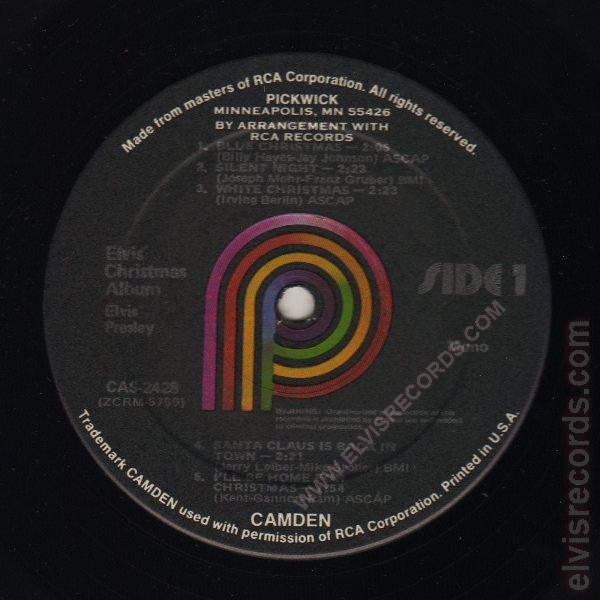 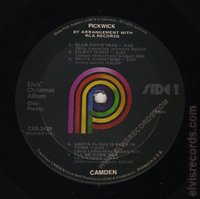 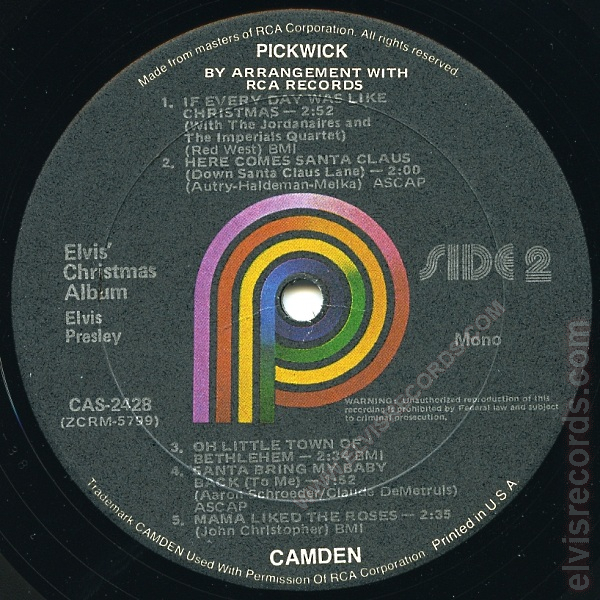 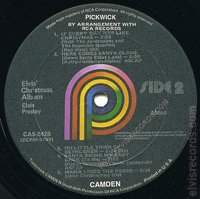 Camden back, catalog number upper right corner with Elvis Sings Christmas Songs, RCA info lower right corner. 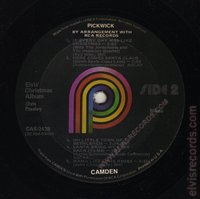 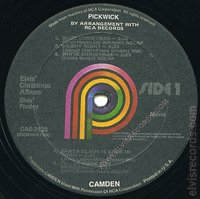 The second is a Pickwick back in green print (extremely rare).1 The third is a Pickwick back, identical to the green back except it is printed in black.2 The forth is a Pickwick back with added text referencing Canada directly under the Almost in Love album in the bottom left corner of the cover. 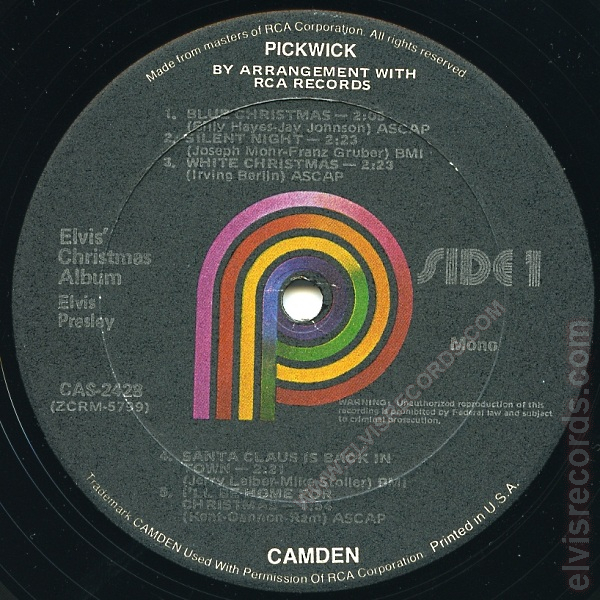 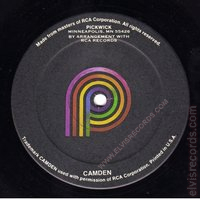 The common differences between the Pickwick and the Camden backs is the catalog number change in the upper right corner the Holly leaves border around the records, and Pickwick info in middle bottom and bottom left. 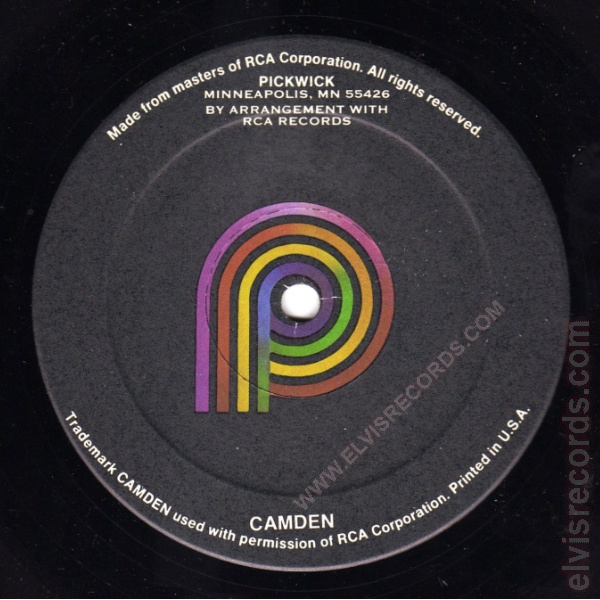 Although the cover indicates CAS-2428 for stereo, the label indicates CAS-2428 for mono. 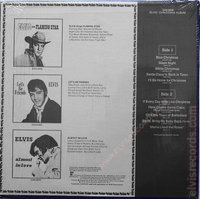 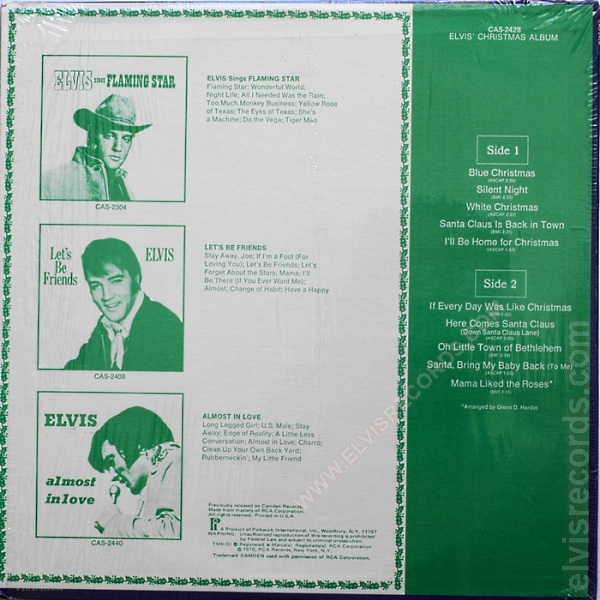 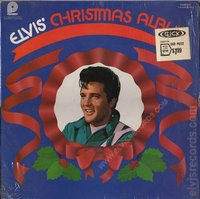 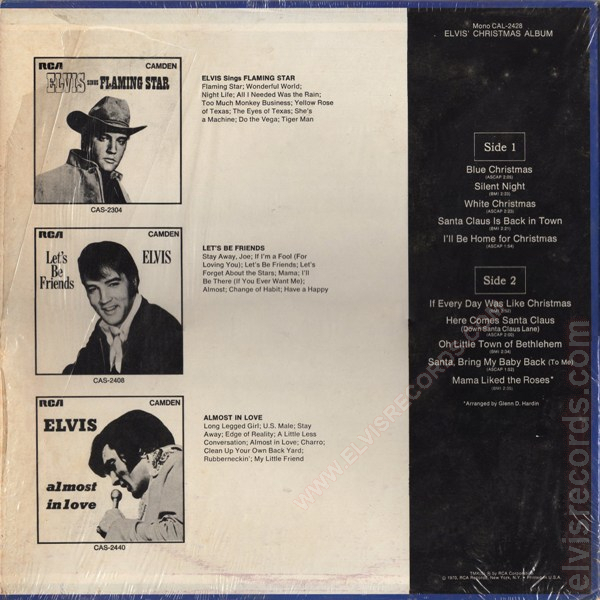 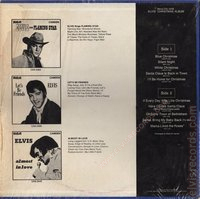 Originally released as CAL-2428 Elvis' Christmas Album in November 1970 and re-released as CAS-2428 Elvis' Christmas Album (stereo) by RCA Special Products in 1986.